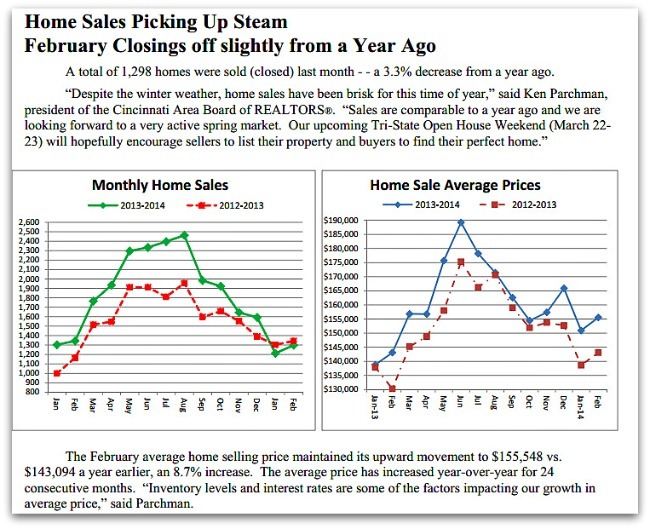 The Cincinnati Area for of Realtors released the “official numbers” for real estate sales in greater Cincinnati! Or need more detailed information? -Click here to to Call: 513-300-4090, or by email.